The Supreme Court, on Monday, held that while recovering secured property from Non-Performing Assets (NPAs), a secured creditor should mandatorily consider the debtor's representation under Section 13 (3A), after the initiation of proceedings under Section 13 of the Securitization and Reconstruction of Financial Assets and Enforcement of Security Interest Act, 2002. Section 13 (3A) of the Act enables debtors to make a representation or raise objections after notice is issued to them by creditors under Section 13 (2) of the Act. The creditor is then expected to consider such representation and communicate his views on the same within fifteen days. 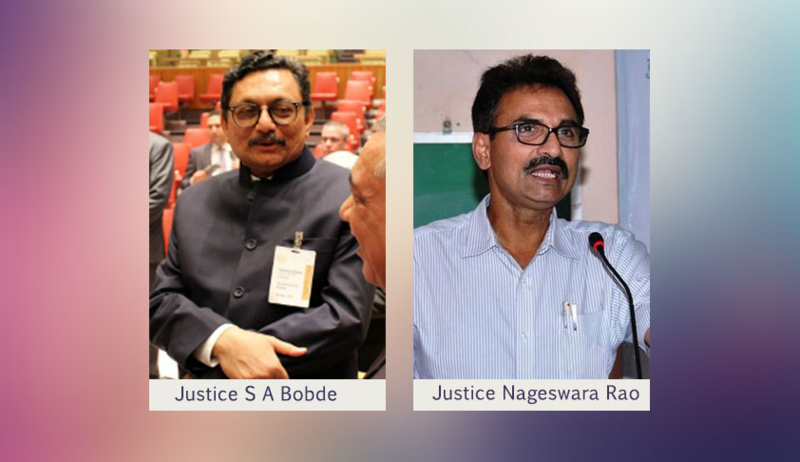 The Bench comprising Justice S.A. Bobde and Justice L. Nageswara Rao, however, clarified that this condition can also be constructively satisfied and that the creditor need not send a direct reply or rejection to such representation. The Court was hearing an Appeal filed by ITC Ltd. against an order passed by the Bombay High Court, whereby a star luxury hotel property purchased in a public auction by ITC was set aside in favor of the debtor, Blue Coast Hotels Ltd. The Creditor in the dispute was the Industrial Financial Corporation of India (IFCI). Blue Coast Hotels had entered into a corporate loan agreement with IFCI in February, 2010 for a sum of Rs. 150 crores. The property mortgaged for the loan comprised of Blue Coast's hotel property, including the agricultural land which was to be used to develop villas. Blue Coast, however, defaulted in repayment of the loan, and hence, its account was declared as a Non-Performing Asset (NPA). IFCI then issued a notice in March, 2013 under Section 13(2) of the Act, calling upon Blue Coast to pay the overdue amount within 60 days. In response, Blue Coast sought extension of time for payment of dues in May, 2013. IFCI, however, took symbolic possession of the mortgaged property in June, 2013, and published a notice for auction sale of the property. Blue Coast then approached the Debt Recovery Tribunal (DRT) in July, 2013, with a securitization application against taking over of the symbolic possession of its property. The dispute was argued before the Debt Recovery Appellate Tribunal and the District Magistrate’s court, before reaching the High Courts of Goa and Bombay. The High Court inter alia ruled that IFCI's failure to consider Blue Coast's representation for extension of time constituted violation of Section 13 (3A) of the Act. This had now been appealed against before the Supreme Court by ITC, which purchased the mortgaged the property after IFCI published an auction notice for the fourth time. "...whether the Parliament intended for a total invalidity to result from the failure to reply and give reasons for the non-acceptance of the borrower’s representation. In other words, whether sub-section (3A) of Section 13 is mandatory or directory in nature." Answering the question in the affirmative, the Court pointed out that the provision was couched in mandatory terms, observing, "We find the language of sub-section (3A) to be clearly impulsive. It states that the secured creditor “shall consider such representation or objection and further, if such representation or objection is not acceptable or tenable, he shall communicate the reasons for non-acceptance” thereof. We see no reason to marginalize or dilute the impact of the use of the imperative ‘shall’ by reading it as ‘may’. The word ‘shall’ invariably raises a presumption that the particular provision is imperative." It further focused on the legislative intent behind the provision, observing, "As the Section stood originally, there was no provision for the above-mentioned requirement of a debtor to make a representation or raise any objection to the notice issued by the creditor under Section 13(2). As it was introduced via sub-section (3A), it could not be the intention of the Parliament for the provision to be futile and for the discretion to ignore the objection/representation and proceed to take measures, be left with the creditor. There is a clear intendment to provide for a locus poenitentiae which requires an active consideration by the creditor and a reasoned order as to why the debtor’s representation has not been accepted." Furthermore, the Court asserted that a provision which provides for communication of reasons for not accepting the representation must be considered mandatory, explaining, "Such a provision is an integral part of the duty to act fairly and reasonably and not fancifully. We are not prepared in such circumstances to interpret the silence of the Parliament in not providing for any consequence for non-compliance with a duty to furnish reasons. The provision must nonetheless be treated as ‘mandatory’." In the present case, however, the Court opined that IFCI had, in fact, considered the representation, as it had granted it extensions for payment of loan on several occasions. This, it ruled, was sufficient compliance with the provision, observing, "In these circumstances, we have no doubt that the failure to furnish a reply to the representation is not of much significance since we are satisfied that the creditor has undoubtedly considered the representation and the proposal for repayment made therein and has in fact granted sufficient opportunity and time to the debtor to repay the debt without any avail. Therefore, in the fact and circumstances of this case, we are of the view that the debtor is not entitled to the discretionary relief under Article 226 of the Constitution which is indeed an equitable relief." The Court further held that the bar on creating interest over agricultural land under Section 31 (i) of the Act would not apply in the case at hand, noting that even though the land adjoining the Hotel premises was categorized as "agricultural land" in revenue entries, it would be considered as such due to the "character of the land" and the purpose for which it was set apart. Another question before the Court was: "Whether the creditor could maintain an application of possession under Section 14 of the Act; even though it had taken over only symbolic possession before the sale of the property to the auction purchaser". "The transfer of the secured asset by the creditor, therefore, cannot be construed to be a complete transfer as contemplated by Section 8 of the Transfer of Property Act. The creditor nevertheless had a right to take actual possession of the secured assets and must therefore be held to be a secured creditor even after the limited transfer to the auction purchaser under the agreement50. Thus, the entire interest in the property not having been passed on to the creditor in the first place, the creditor in turn could not pass on the entire interest to the auction purchaser and thus remained a secured creditor in the Act." Thereafter, the Court went on to negate allegations of fraud and collusion between IFCI and ITC, and held that the debtor is not entitled for discretionary equitable relief under Articles 226 and 136 of the Constitution of India. Setting aside the impugned judgment, the Supreme Court then directed Blue Coast to handover possession of the mortgaged properties to ITC within six months.